Strategy Sessions are open to community feedback. Leave a comment, Tweet us (@LumosBusiness) or send us an email if you have any ideas related to the topic. Back in black. At least that’s what the beleaguered handset manufacturer is hoping for after years in the red. Research in Motion (RIM), the innovators behind the original QWERTY smartphone, has seen its stock plummet in recent years thanks to a series of strategic missteps and management blunders. Now, on the eve of the launch of its make-or-break Blackberry 10 handsets, we are going to break down the strategies of the Canadian mobile mogul and look for the lessons learned in the product launch. They were on top of the mobile world. As recently as five years ago, everybody had a Blackberry and if you didn’t you were on the way out the door to get one. And then came the I-Phone. Rather than taking a wait-and-see approach and heading to the boardroom to draft up a strategic response, RIM’s executives dismissed it as a trivial Apple gadget for techies. Then came Android, Google’s open-source OS (operating system) and RIM went from in motion to out of the quotient. In the US alone, the company’s market share went from 39% in Q4 2009 to 9.5% in the last quarter. Their share of the global smartphone market was 21% in Q3 2009, now it is just 4.2%. We started analyzing RIM and its strategies when they launched the Playbook in Q2 2011 (see post RIM Playbook Launch … ). It was during that product-launch cycle that we could see just how out of touch the company had become. With Jim Balsillie calling the product an ‘Ipad killer’ and Mike Lazaridis bemoaning Canadians’ lack of patriotism, it was obvious that a shakeup was needed. The Playbook flopped, RIM’s stock plummeted and suddenly everyone wondered whether the company who kickstarted the smartphone market would even be able to compete in it. But then the winds of change started to blow. The company cleaned house at the executive level and brought in a new CEO (Thorsten Heins), mass layoffs and personnel changes ensued, and the sense of complacency that gripped the former smartphone heavyweight went flying out the window. Despite shareholder scraps, persistent takeover rumours and a media death watch, RIM is still alive. The question is, can they make the comeback? The next few months will provide us with the answer to that question as RIM gets set to unleash its new Blackberry 10 OS (BB 10). After watching the dismal launch of the Playbook, we are excited that Blackberry is back to give it another shot. They say that the best way to learn is through failure; there are likely very few companies on the planet who have ‘learned’ as much in the past five years as RIM. Fortunately, the company is still in one piece and has a shiny new OS that’s ready to be deployed. overpromise/underdeliver : a classic mistake that is especially fatal when you are playing in the mobile market. Balsillie labeled the Playbook as an iPad killer and yet the best thing anyone could say about the tablet was that it ‘has potential.’ Some reviewers wondered if the product was even ready to be shipped. In the end, the only thing the Playbook killed was management’s credibility. not listening : Blackberry spent an inordinate amount of time trying to engineer the Playbook to link up with Blackberry smartphones (via Blackberry Bridge) so that customers could check emails. 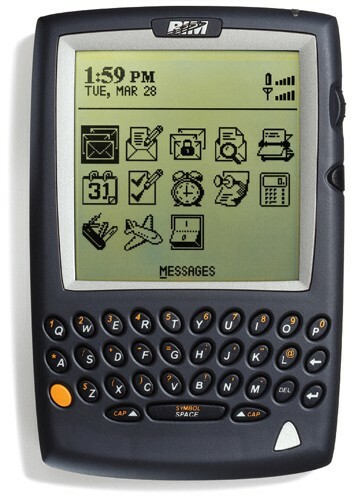 That left anyone without a Blackberry unable to check their emails, as they launched the Playbook without a native Email app. Guess what the one thing people wanted to use their tablet for the most? creating confusion : RIM’s marketing and communication during the Playbook launch was nothing short of abysmal. Consumers were being told it had everything they wanted. Business users were being told it had everything they wanted. Everyone was told it had everything they wanted, and yet nobody knew what features it had. When they launched it at over 20,000 retail outlets, even the people selling the tablet didn’t know what features and specs it had. In the blundered launch, however, was a silver lining. While on paper it would have been great if RIM had been able to produce a tablet to compete with the iPad and return to its glory days, the company’s real bread and butter is making smartphones. Rather than viewing it as an outright failure, an optimist could take the perspective that it was merely a training exercise for the launch of BB 10 into the much more important mobile market. Well, the time has now arrived to put that training to good use, because there are no more second chances. It’s do or die for Research in Motion. BBM and Balance : by incorporating VOIP and creating a new UI, RIM is hoping to rebuild the the BBM (Blackberry Messenger) network. For Blackberry users who rely heavily on the device for business, the new Balance application will allow them to essentially have two devices within one phone, by enabling them to separate business media and apps from personal ones. A lot of these features may seem simple on their own, but when they are combined together they could offer heavy users a noticeable increase in productivity. It’s all possible because of the acquisition RIM made when it acquired Harman Industries for their QNX microkernel OS News Release in 2010. In fact, *some have said that the QNX OS could be the backbone for the next generation of mobile apps because of its robust multi-tasking capabilities. Blackberry became big by being known as the ‘get things done’ phone, so their renewed focus on productivity, rather than shiny features, is consistent with their original brand image. But none of it will matter if the company can’t get the right messages to market and convince people to give Blackberry another shot. How is the company approaching the BB 10 launch differently than the Playbook launch? Developer Relations – developers are perhaps the biggest asset for companies developing a mobile OS; therefore, a strong relationship with developers is essential. Developer relations were a disaster during Playbook launch, highlighted by an open letter from developer Jamie Murai. Now, RIM has made huge strides to rebuild developer relations (check out the RIM Dev Team’s hilarious ‘Keep on Lovin You’ video hehe) and released a BB 10 SDK (software development kit) that sent shares up more than 5% last week. It looks like their strategy is working, with the majority of Devs saying they would recommend the device. What specific marketing and strategic initiatives is the company pushing in the market? BGR Interview with Research In Motion CMO Frank Boulben from Jonathan Geller on Vimeo. Global promotion : Despite its woes in the US and traditional markets, RIM has a stronghold in many emerging Latin, Asian and African markets. 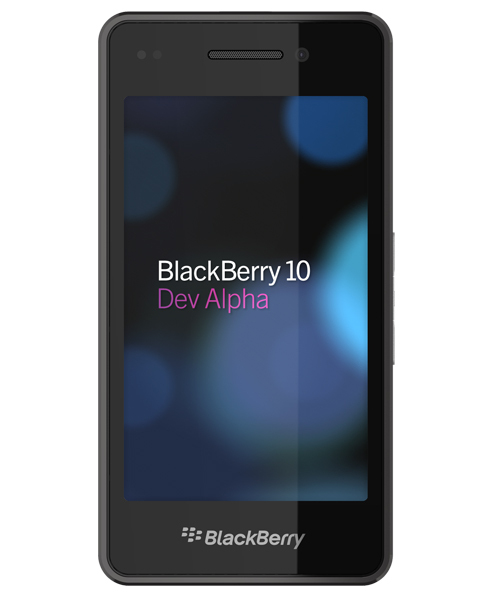 For this reason, the company is investing time and resources into the global promotion of BB 10. Latin America, in particular, is pulling the company’s sales, so we expect to see a big push in LatAm for their (projected) March 2013 LatAm/global launch. The question is, after all this, will it be too little too late? Despite many forecasts that a Q1 2013 launch of the BB 10 handsets would/will be too late, there is evidence to the contrary. The latest iPhone 5’s were nothing special, the newest Androids (ie. Galaxy III, Nexus 4) are taking a dent out of the iPhone market share but are hardly anything revolutionary, and despite a notable effort, Microsoft and Nokia are still Microsoft and Nokia in the eyes of consumers and struggling to gain traction. Markets tend to follow the Rule of 3s, and with Android and iPhone being the undisputed 1, 2 heavyweights, it’s time to find the number three. Even though there hasn’t been a good Blackberry launched since the Bold 9780, the market is beckoning for Blackberry to make a comeback, especially in the Enterprise sector. The fact that Carriers are reportedly loving BB10 is also a good sign. While many have proclaimed Blackberry as dead, very few have provided (in)credible arguments beyond the typical ‘competition is fierce’ and ‘they are a dinosaur.’ Based on fundamentals and what has transpired over the last year, they at least have a chance. Clearly we are bullish on Blackberry and the new handsets, and not because of our Canadian roots. Rather we think the company has made some incredible strategic acquisitions (QNX, TAT, Torch), is well managed financially (they have no debt) and the new leadership has seemed to be able to reenergize the employees. Plus many people we talk to are still not sold on Android or Iphone and are anxious to try the new BB10. Either way, it provides a fantastic case study for entrepreneurs and marketing teams to analyze and will surely provide a few more up-and-down moments before the dust settles. So what do you think, is RIM going to be back in black with the launch of BB10?